Hillary Clinton was born in Chicago on October 26, 1947. The time of 8:02 am for the Hillary Clinton horoscope is rated DD at astro databank, meaning the time is highly questionable. Therefore, the position of the Moon, Ascendant and Midheaven cannot be taken seriously. As with the Donald Trump horoscope I take a politically unbiased approach to natal chart interpretation which is based only on fixed stars and aspects. With no major aspects to Hillary’s Sun it becomes difficult to form a picture of her ego and will. The minor fixed star Princeps at 02 ♏ 24 suggests only that she has a clever and profound mind. Her private nature and personality should be even more difficult to determine without reliable positions for the Moon and Ascendant. This, however, is not the case because of potent fixed stars and a strongly aspected Mercury and Venus. Hillary’s mind is much easier to describe with Mercury on a major fixed star and in a very tight aspect to Saturn. Also, Mercury is stationary retrograde which causes problems with her thinking and communication. It points to errors in judgement, wrong decisions and miscommunication that leads to complications, lying and cover ups. There are errors or misinformation associated with spoken and written words, quotes, speeches, statements, records and documents. Mercury conjunct fixed star Unukalhai at 21 ♏ 19 gives bad morals and poisonous thoughts like jealousy and revenge. This star with Mercury brings dishonor, narrow escapes and accusations of forgery or theft of papers. South Node and possibly Ascendant conjunct this fixed star make it an extremely powerful influence in her life. Mercury square Saturn with an orb of 0°05′ is the strongest aspect in her chart. It causes deficiencies in thinking and communication which leads to mistakes, errors in judgement and negative thinking. It subjects Hillary to criticism and scrutiny of every little detail in her words, written and spoken. Any mistakes or deliberate lies will come back to bite her, especially with Mercury retrograde on the poisonous star Unukalhai. Negative thinking can be exacerbated by having to deal with too much responsibility. Lack of self respect, and feelings of isolation and depression can lead to resentment and nastiness. Hillary has obviously worked though a lot of these heavy karmic issues to reach such a high position but she still suffers from being called untrustworthy and nasty. Saturn comes under the influence of the minor fixed star Ras Elased Australis at 19 ♌ 58 in the Lion’s Head. It gives an appreciation for language and a power of expression, but also makes Hillary cruel and heartless. With the square to Mercury, I swear I can actually see her Lion face appear when she is getting nasty. IF her actual birth time is 8:02 am, Mercury is conjunct an Ascendant of 22 ♏ 03. That makes a powerful communicator but square Saturn hard to trust and prone to bad decisions. Mercury rising trine Moon would soften her initial appearance and give influence over, and popularity with the public and women. Venus conjunct fixed star Zubenelgenubi at 14 ♏ 20 gives an unforgiving character, lying, crime and disgrace. Venus square Mars and Pluto suggests Hillary’s loving and affectionate side does little to tame her cruel and heartless mentality. Venus square Mars and Venus square Pluto bring intense love-hate feelings in relationships. Any irritation can rapidly escalate to anger and temper tantrums. Hillary’s extremely intense feelings appear threatening to others. Her need to have total control results in manipulative behavior like jealousy, guilt tripping and possessiveness. Mars conjunct Pluto gives a ruthless desire to achieve goals. Strength, passion and courage are Hillary’s strong points but an indomitable will and tendency toward manipulation bring powerful enemies and hinders success. If she does not get her own way through force, she will turn to coercion or manipulative or criminal actions. This dark and sinister side can be very dominating, rude, vulgar, nasty and even violent. Mars and Pluto conjunct fixed star Acubens at 12 ♌ 54 causes lying and criminality, giving an unbalanced and jumpy nature, malevolence and poisoning. Acubens is associated with the “enforced use of applied intelligence when finding oneself in combat at someone else’s behest.” So she can rise to a high position by solving problems but is always acting on behalf of someone else hidden in the background. One final point of interest is her North Node conjunct fixed star Algol, Medusa’s Head. Donald Trump has Midheaven conjunct Algol which brings danger of assassination. This article was first posted on November 29, 2012 after Hillary was hospitalized with a blood clot. Hillary Rodham Clinton, Astro Databank. Thinking more and more about fixed star Algol on Trumps mid heaven trine Saturn Venus. Finding that Clinton had the same star conjunct north node and near descendant opposite Mercury, which is so hobbled, the results of the election start to make sense. It was a battle of the damaged. Just a question of who could be the nastiest. But now we have medusa as president. A hurting damaged being, turned into a weapon to be used by whoever can get hold of that squirming snake hair! At some point trumps head will face the mirror and he will be killed by his own death stare. In the meantime the world needs to look away as the powerful vie for that terrible weapon and use it to take out the terrible people who have done nothing to stop this. Restoring the world to balence, medusa trump will finally do good and move on from this karma. 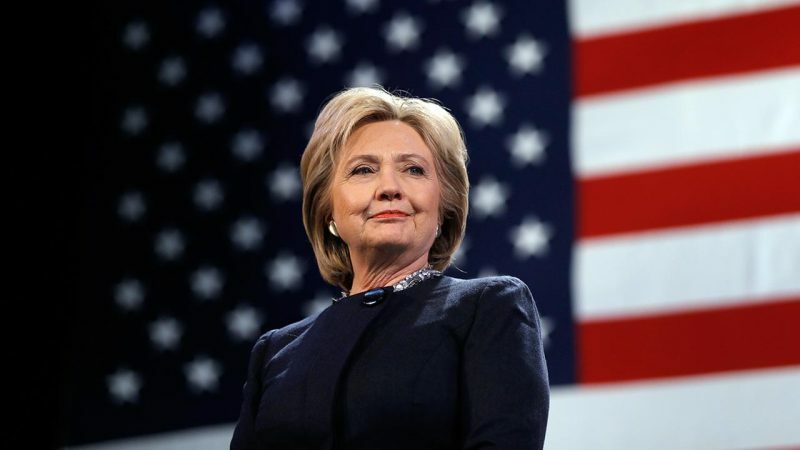 What Happened is a 2017 memoir by Hillary Rodham Clinton, describing her experience as the Democratic Party’s nominee for President of the United States in the 2016 election. To be published on September 12, 2017, it is her seventh book with her publisher, Simon & Schuster. The New York Times wrote that the stated aim of the book was to “offer an intimate view of what it was like for Mrs. Clinton to run as the first female presidential candidate from a major party in United States history, in an often vicious and turbulent campaign.” Her third memoir, following 2003’s Living History and 2014’s Hard Choices, advance publicity for the work said it would be her “most personal” yet and quoted from her words in the book’s Introduction: “In the past, for reasons I try to explain, I’ve often felt I had to be careful in public, like I was up on a wire without a net. Now I’m letting my guard down.” Media outlets from the Associated Press to The Guardian to Politico framed Clinton’s promise of a new level of candor as a major theme of the initial publicity surrounding the book. The work is also said to include some self-help ideas about how to get past highly unpleasant experiences. Existence of a new Clinton work was first revealed in February 2017, but at the time it was billed as a volume of essays centered around the author’s favorite sayings, with only some allusions to the campaign. Financial terms of that work, which had no announced title, were not publicly disclosed but industry observers expected her monetary compensation to be large. The new purposing of the work and its thematic substance were revealed in July 2017. After the title was announced, it was mocked with sarcastic memes on Twitter. It was announced on August 28, 2017 that Hillary Clinton would be starting a North American book tour on September 18, 2017. Clinton has scheduled appearances in Washington, D.C., California, Michigan, Illinois, Wisconsin, Florida, Georgia, Massachusetts, Pennsylvania, Washington and Oregon, as well as Toronto, Vancouver and Montreal, and is scheduled to last through December 2017. House in fire 3 January 2018. Also today January 5, 2018: FBI investigation Clinton Foundation in the news. With the aspects Jan. 5 my Hillary’s horoscope rectification can be assumed as well done. Michael Wolff’s book, Fire and Fury: Inside the Trump Whitehouse, went on sale Jan. 5. It is on the best seller list and so is Clinton’s. Jan. 5 was an interesting day. This horoscope for HC confirms my own impressions or bias. Hillary is a lying, image-conscious warmonger. Stellium of three malefics in Leo. Depending on her birth time, probably not far from her MC either. Helps explain why she hit the political bigtime. And a swaggering psychopath ego, considering the Mars-Pluto-Acubens conjunction? LOL So the stars impel but don’t compel principle just doesn’t apply to her. “Warmonger” Yeah which American President won’t get that label ( maybe Carter ) but people aren’t frothing with hate where they are concerned. yeah you are biased. but I realise I can’ expect logical thought in this forum. OR anything. the thing with astrology is how conveniently it was can be used to buttress the logical fallacy of confirmation bias – a cognitive error. The thing with paralogism is it can’t cope with objective astrological information. Instead it uses casuistry to buttress preferred logical fallacies. Like evil is is good. Oops, correction: let evil be evil as it damn well likes but give it a good public image. Millions share Hillary Clinton’s natal Pluto-Mars-Acubens conjunction or some variation. Few of them would support brutal third-trimester abortion of American babies hours before a child’s estimated time of birth. As HRC publicly did, 3 April 2016. Fewer still would have laughed and clapped hands, exulting: “We came, we saw, he died!” on hearing a popular ruler of another country had been sodomised with a knife then murdered by US-funded Isis ‘rebels’. As warmonger Hillary did, 20 Oct 2011. Only ONE person with that natal Pluto-Mars-Acubens conjunction approved selling Uranium One’s 20% holdings of US uranium mines to the Russians between 2009-2013. US Secretary of State, the traitorous Hillary Clinton. The stars impel, they do not compel. People can choose not to give in to murderous, or thieving, or slanderous, or traitorous impulses. And if they don’t? Easterners speak of karma. Westerners say, “What goes round comes round’. Newton’s Third Law of Motion states, ‘For every action there is an equal and opposite reaction.’ Such global unanimity is remarkable. At her Methodist Sunday school HRC probably memorised texts like NT: “…for whatsoever a man soweth, that shall he reap,” (Gal 6:7) and OT “…they that plough inequity, and sow wickedness, reap the same” (Job 4:8). When she chose to make Messalina and Agrippina the Younger look very small-time, Hillary Clinton knew exactly what she was doing. Many will be thankful not to stand in her shoes. When asked in trance how many people exercise free will ? His answer was : ” about 20 %. Another brilliant natal chart analysis. I wonder… Are we going to discover the witch behind the witch hunt (the Donald Trump collusion conspiracy) is none other than Hillary Clinton? The mercury retrograde conjunct S.Node is the reason she keeps reliving the election results.She just can’t believe she lost , and keeps coming up with reasons why she should have won , but she can’t keep her mind out of the ‘ bucket ‘ its always there on her S.Node.